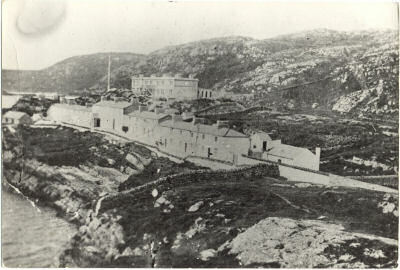 The older B/W photograph, taken c.1905, shows, on left of photo, the older Coastguard buildings dating from 1816. The new station at the rear was built was taken over by the Coastguards on 1st May 1907. A photo shows deserted cottages c.1985 prior to the commencement of restoration work. During the War of Independence in August 1920 the station was burned out. 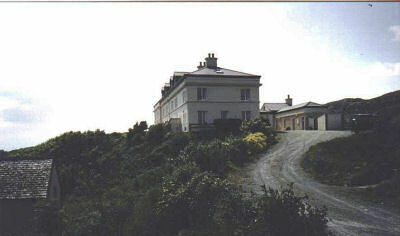 The Admiralty withdrew from all Southern Ireland Coastguard stations in 1922. After their departure all the houses were in a very poor state as local people had taken slates, stone and wood for their own houses. The property was sold to the Commissioners of Public Works in 1959. Parts of the property were sold on to various people. Peter Shortt and Brian McPhilips in 1990 and restoration began. Rock Island. Old station on left 1905. The "new" station building and the old Rocket Cart House were restored with the old flat roof replaced with an A frame roof. 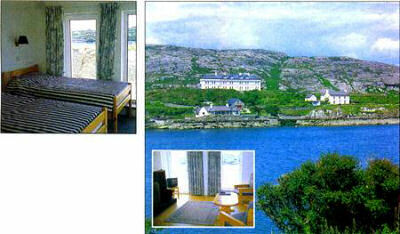 They were rented out as holiday accommodation. 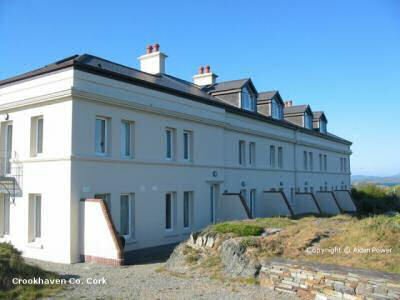 In 2002 the eight apartments at the main Coastguard building and the Pocket Cart house were sold to individual buyers. The station was restored by Peter Shortt of Wicklow. 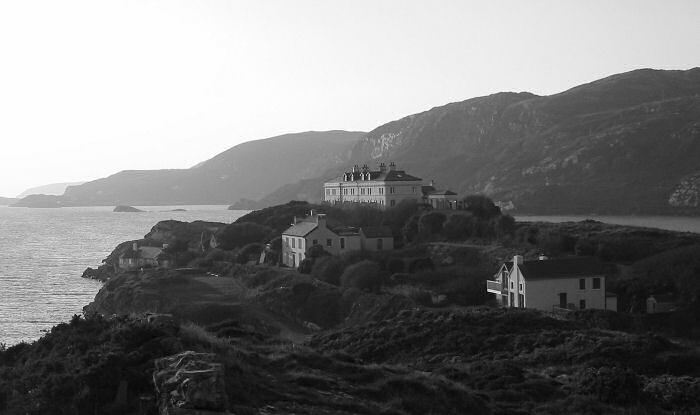 Many thanks to Aidan Power who has written an excellent book which covers the work of the Coastguards during their time here called "Rock Island, Crookhaven" A Coastal Townland's History since 1800". Published by Aidan Power. Printed by Inspire Printing, Skibbereen. 2006. Where can this book be purchased?